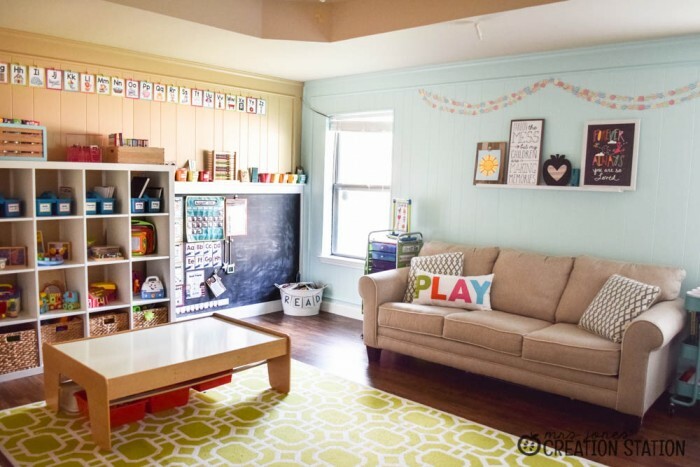 Our playroom/homeschool classroom has been slowly coming together over the past year. Finally I had the chance to really started decorating this summer. I am in LOVE with our homeschool classroom decorations above our couch. Of course, I had to share! 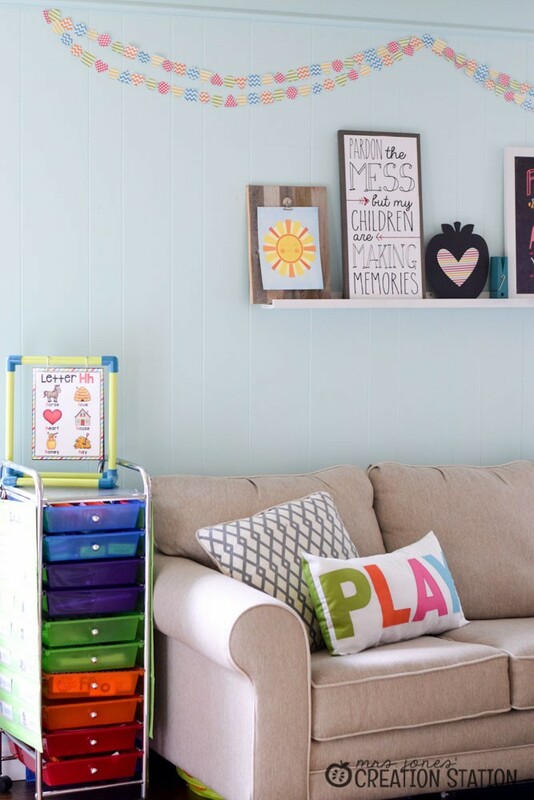 This is the only wall in our playroom that doesn’t have a large cabinet or any storage on it, so I was able to play around when it came to decorating this wall. I wanted to keep the colors consistent with the other colors I have been using throughout the room. I tried to make sure the room as a whole wasn’t too busy. However, I wanted to warm it up with some natural tones and a chalkboard. 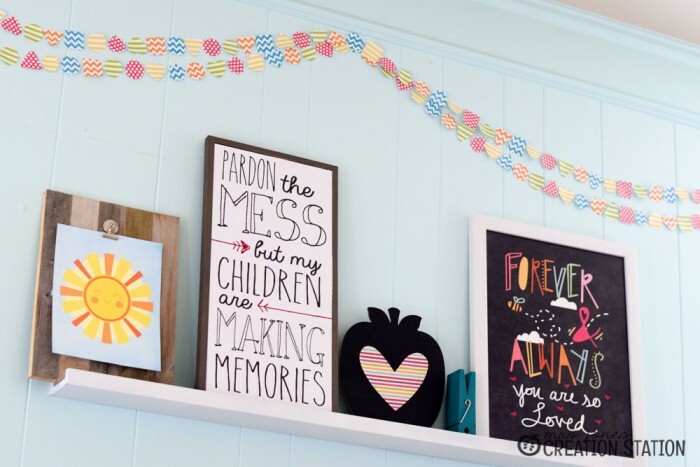 To help create fun decorations for our room, I partnered with Cricut and used their Explore machine to add fun details to homeschool room. 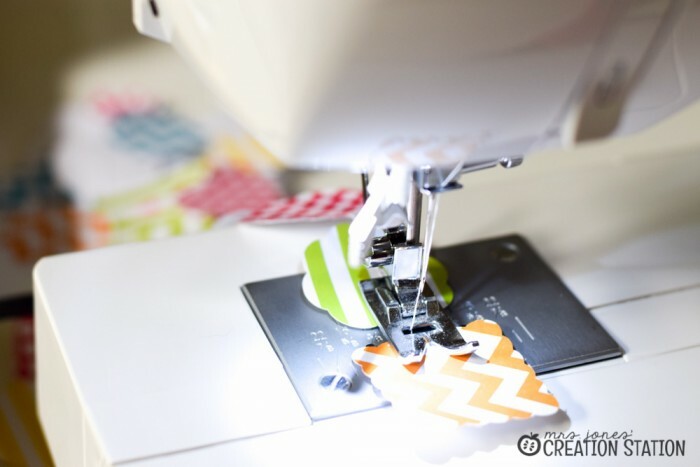 My favorite accent that ties it all together is the bright shapes banner I made with my Cricut Explore machine. 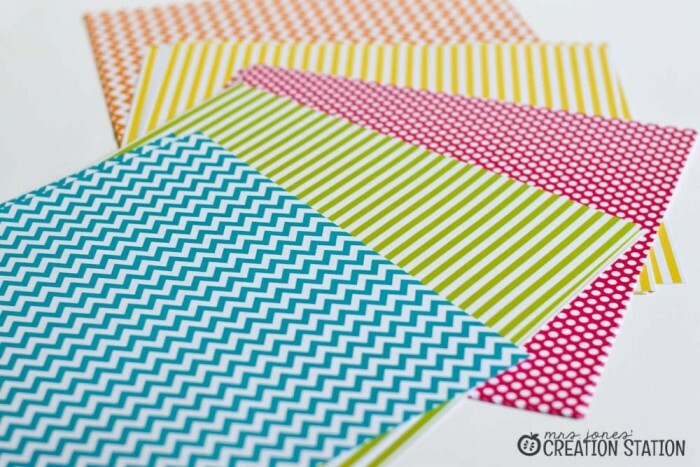 I found some scrapbook paper at Hobby Lobby that matched my Brights Classroom Pack that I am using in our room and sat down on my iPad with Design Space. 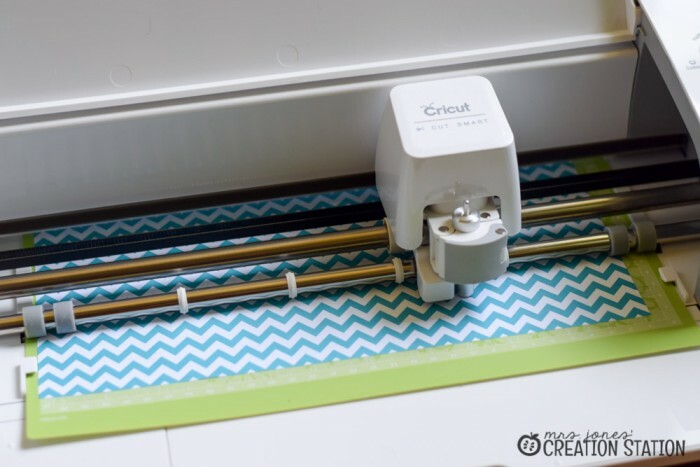 I found some simple shapes, put them in a new project and let my Cricut do the work while I got some organizing done in our playroom cabinets…it’s really that easy! Once the paper was cut, I got my sewing machine out and sewed the shapes together to make the banner while watching a little Gilmore Girls on Netflix. Finally I placed the banner on the wall with some double sided tape and it was DONE!!! So simple! This banner is great! 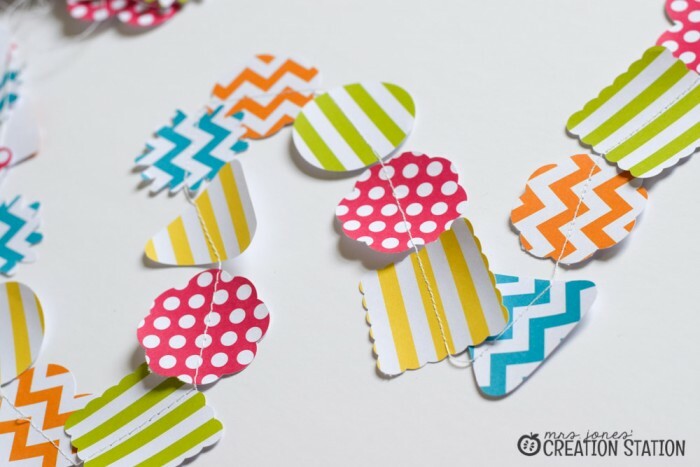 It can bring a pop of color to so many spaces in your homeschool or classroom. Do you have a boring hallway, a bulletin board that needs a facelift, a window that you can’t put a curtain on? This banner is a perfect solution! 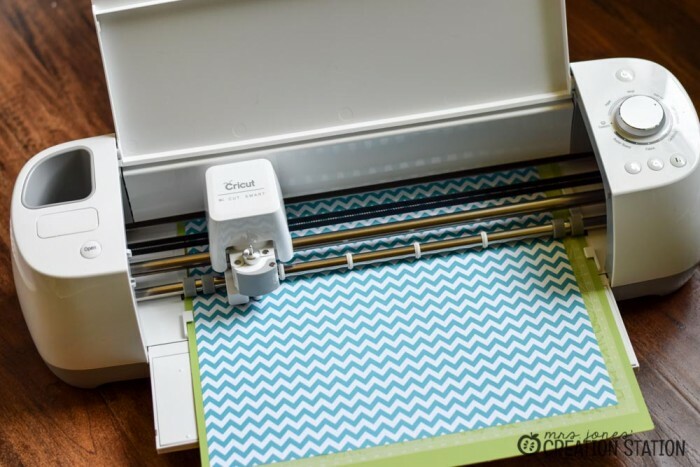 Be sure to go to Cricut’s Facebook page to sign up or nominate a teacher you love to win some awesome prizes for the next couple weeks. 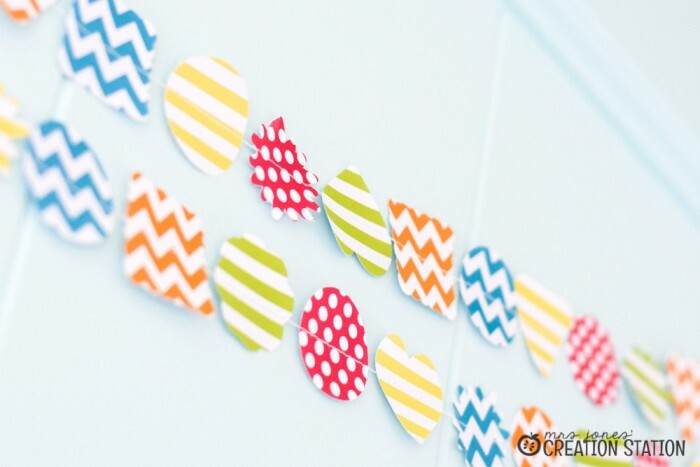 You can easily create accessories like this in your classroom! 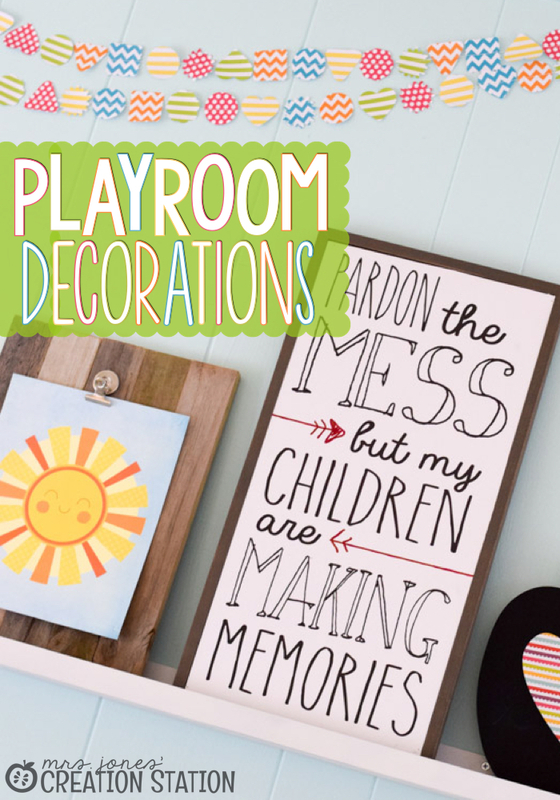 Next on the list, finish up our bookshelves and maybe organize the inside of all my wonderful cabinets…we shall see 😉 For now, I will enjoy looking at the lovely homeschool classroom decorations that adorn our wall!